SABLA's mission is to offer our young athletes of the Souderton Area in grades K-8 the highest level of positive coaching and expert instruction within an atmosphere of team support and family values. We work hard to ensure that every athlete that steps out onto the field with a Lacrosse stick has the opportunity to play and have fun! SABLA believes not only in teaching our players to play hard and outscore the opponent but to behave like winners every day. How? By "Honoring the Game" each time we step onto the playing field. SABLA believes in the Double Goal Coaching philosophy and the Positive Coaching Alliance. What is Double Goal Coaching? Goal#1: Striving to Win on and off the field! Goal#2: The most important goal of the two is to teach life lessons via lacrosse. SABLA is working in partnership with US Lacrosse and the Positive Coaching Alliance to make the de facto youth sports culture one in which very member of our lacrosse community "Honors the Game". Not only does this require a commitment from SABLA, our coaches and players but also from our parents. The SABLA season starts with practices in March and runs until the beginning of June. Practices are held twice a week, either on Monday/Wednesday evenings or Tuesdays/Thursday evenings, depending on the age group. This program concentrates on teaching the basic skills needed to succeed in Lacrosse. Catching, throwing, cradling, and game awareness are emphasized and taught through age appropriate beginner Lacrosse drills and games. This program requires a sticks, protective cup, and mouthguard. Lacrosse gloves are optional but recommended. This program uses soft lacrosse balls for all drills and lessons. This program will introduce players to competitive organized lacrosse via play days against other lacrosse clubs. 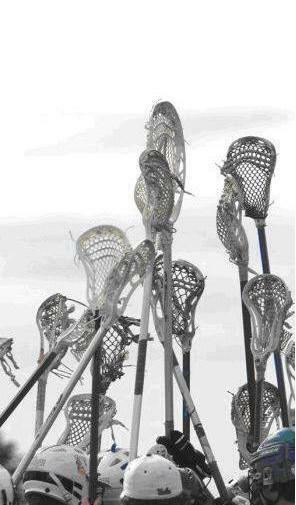 Equipment: all players will use a short-stick, no long poles. Full equipment is required for all players: helmet, gloves, arm pads, shoulder pads, protective cup, and mouthguard. Stick checks will not be permitted. These teams compete against other local lacrosse organizations within the Southeastern PA Youth Lacrosse Association (SEPYLA). Games are normally played on Saturdays and Sundays from the beginning of April to the end of May. Welcome to Souderton Lacrosse, the fastest growing sport in the area! Feel free to contact any member of the SABLA Board with any questions you may have, or to express interest in getting involved with Souderton Lacrosse. Grow the Game!